Expert Furniture Movers, Apartment Movers, Gym Equipment Movers, Furniture Rearranging Services, and More. We Can Handle Your Heavy Work! Moving in general can result in achy muscles. Why not let Belle’s Hauling & Moving take the weight off of your back. Our various moving services include moving one piece of furniture or your entire small apartment from one location to another. We can help you pick up your newly purchased piece of furniture. 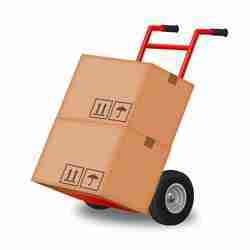 Whether its from a store to home, person to person, or moving furniture to and from storage facilities. Thinking about a different look in your home? Our movers can come out simply to assist you with furniture rearranging within your home. Let us take the load off by moving your heavy sofa from one floor to another. Our experienced crew will move that cumbersome dresser from upstairs to your basement. Our experience shines through in how we carefully handle your possessions as well as how we treat your home with care as if it is ours. You can trust that Belle’s Hauling & Moving will get your moving project done safely and properly. You need experience when it comes to exercise equipment moving because of the weight and complexity of gym equipment. We have experience with popular pieces of equipment including treadmills, elliptical machines, stationary bikes and more. Leave your moving projects to our professionals. Are you moving here from another state and need help unpacking your truck or uhaul? Are you leaving the state and only need your truck loaded of the heavier items so you can drive to your new city? We provide truck loading and unloading services also. Pods and shipping containers provide a cost efficient way to move across state lines. Our crew is here to help load or unload your belongings. What keeps our customers coming back is our great service, dependability, and personalized care while handling your belongings. You can tell our level of quality by the wonderful reviews and feedback we’ve received over the years. Our exercise equipment and furniture assembly quality is consistent. Let Belle’s Hauling & Moving LLC make your furniture rearranging project a stress free one.